We’ll say goodbye to TBEX Athens with a farewell event that includes an opportunity to discover how Athens magically mixes and matches the new and the old, the hip and the traditional, forming its own unique style in an event that is organized by the Pandrossou Street Market and the Athens Traders Association in collaboration with the Athens Conventions and Visitors Bureau and the City of Athens. Explore Greek craftsmanship alongside Greek food, music and dance at the Pandrosou Street Market, a market filled with traditional objects, souvenirs and antiques that stretches out for about 300 meters. 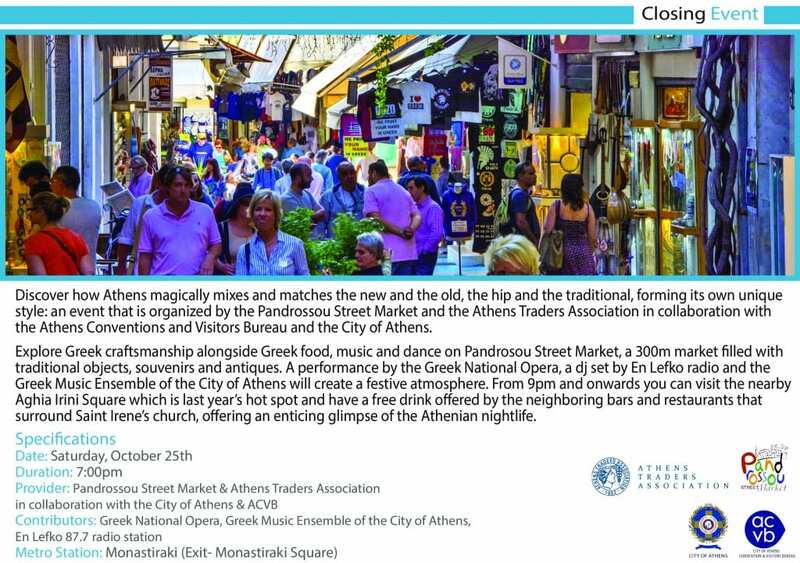 The evening will include a performance by the Greek National Opera, a DJ set by En Lefko radio, and the Greek Music Ensemble of the City of Athens, all combining to create a festive atmosphere to say goodbye to friends and to our host city. The street event will run from 7-9 pm, directly following the closing session and keynote. And it doesn’t end there. 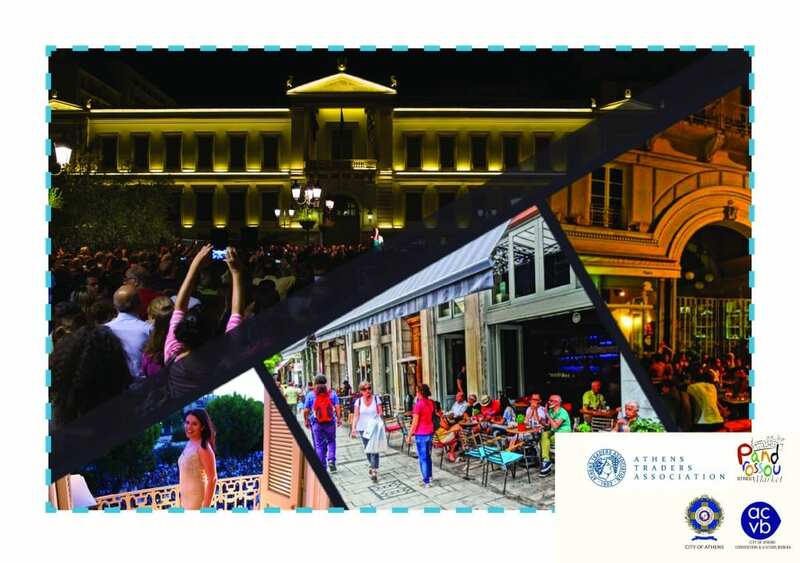 From 9 pm onwards you’re invited to visit nearby Aghia Irini Square, one of last year’s hot spots, and have a free drink offered by the neighboring bars and restaurants that surround Saint Irene’s church. It’s an enticing glimpse of the Athenian nightlife. Use you Metro pass to access the street event at Monastiraki Station (exit at Monastiraki Square). Your TBEX badge is required to access all events and enjoy all benefits of the street party.